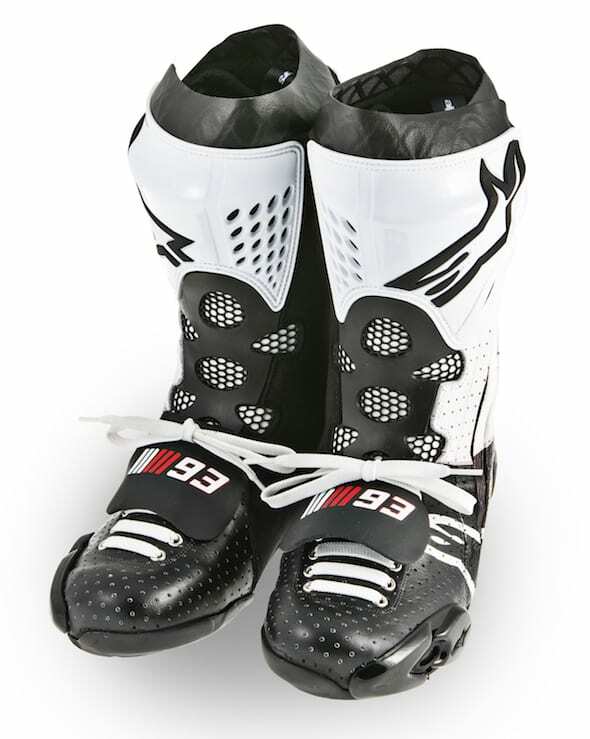 For some reason, there’s very much a Marmite attitude when it comes to football in racing paddocks across the globe. 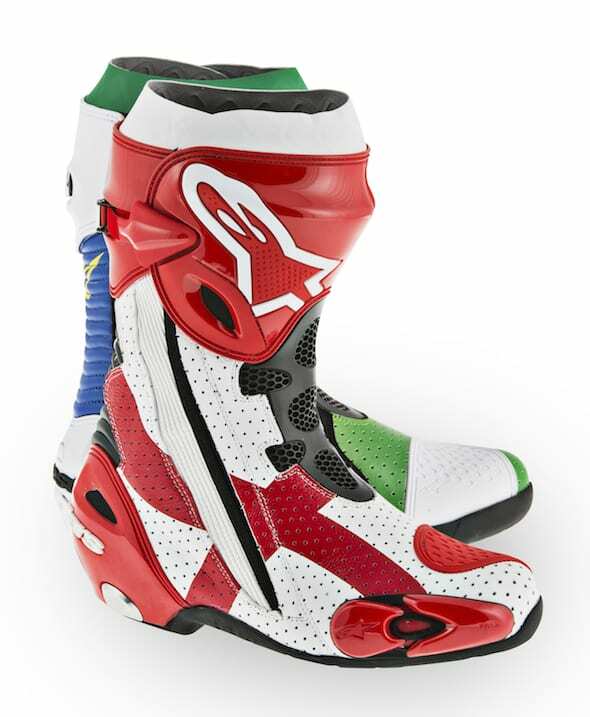 But Alpinestars has launched a series of designs to celebrate the 2014 World Cup in Brazil, with each Astars-supported rider bragging their own unique Supertech R colours for this weekend’s Catalunya Grand Prix. 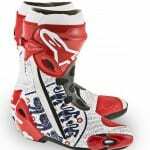 Marc Marquez has chosen the classic 1960’s boot design, complete with laces and tongue, while Cal Crutchlow has opted for a more patriotic finish. 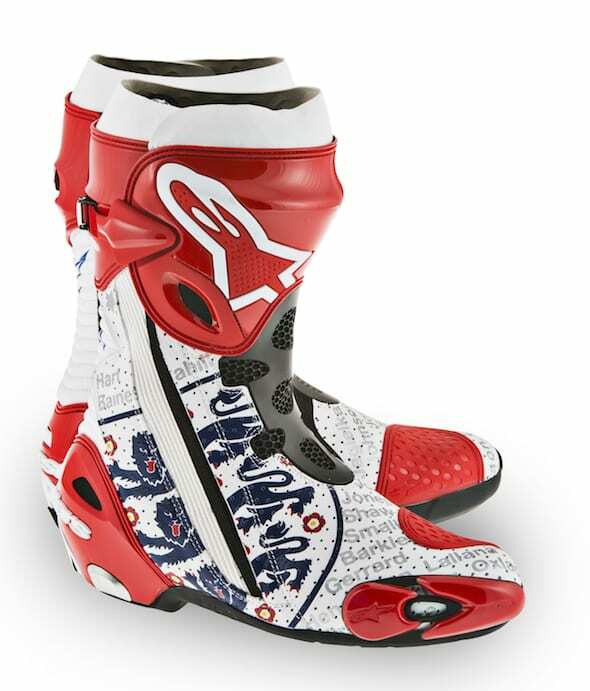 Scott Redding joins many other realists in thinking the England team have very little chance (ok, zero) of winning the World Cup, so has one St George themed boot and one in the hosts’ colours. 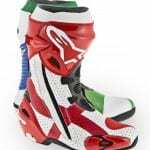 Jorge Lorenzo will not be a part of the Brazilian festivities, as he is committed to his personal design initiative with Ana Vivas who designed his race- winning graphics in 2013. 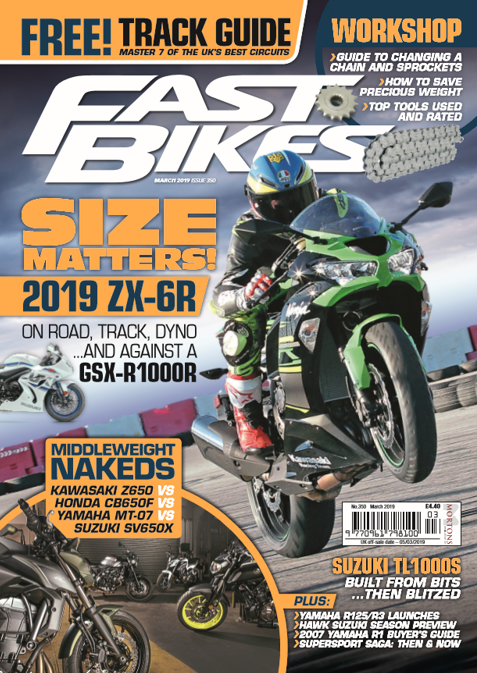 Next Post:Fast Bikes Magazine ‘Summer’ 2014 is OUT NOW!